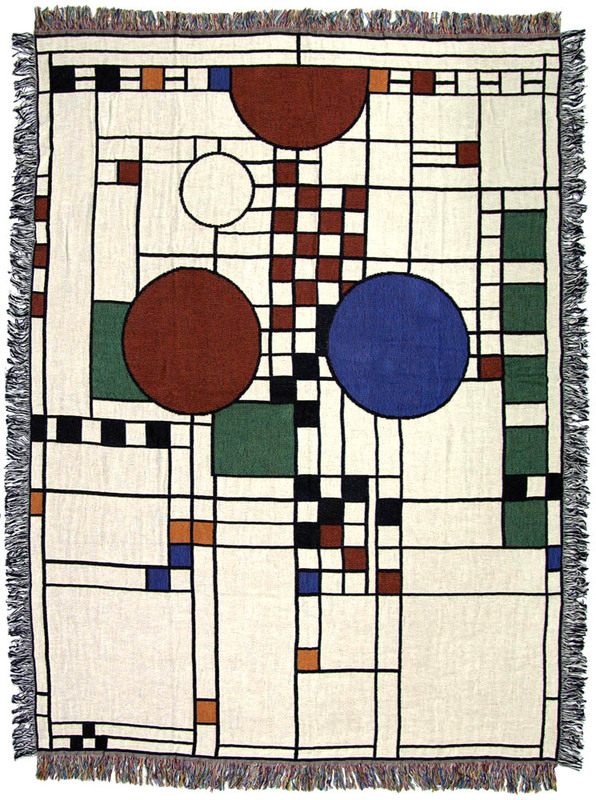 Frank Lloyd Wright Coonley Playhouse Throw. A striking accent for any room, this throw is adapted from a window of the Avery Coonley Playhouse in Riverside, Illinois. This unique piece is made from 100% cotton and measures 48" by 68".